Jessie McCracken is a Licensed Real Estate Agent who exemplifies integrity, positive energy, hard work and is a focused listener, able advisor while being a fierce yet fair advocate. Jessie’s loyal clientele, personal referrals and repeat business has formed the foundation of her successful career that incorporates every aspect of the industry representing sellers, buyers, investors, banks & developers in the residential market. 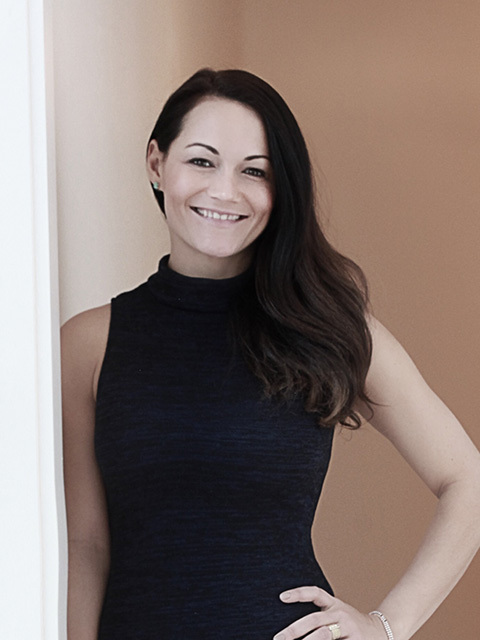 A driven co-founder of Sara Jessie Real Estate Services, and current Owner of YEGPro Realty, Jessie exudes a love for real estate, home décor and has a natural talent in addition, an incredible eye for creating beautiful spaces. Based out of Edmonton, Jessie has built a reputation for unparalleled service, high ethical standards, but also for being honest while creating a positive experience for any property transaction. Jessie’s incredible energy, leadership, professional attitude and organizational skills contribute to the teams dynamics which sets SJRES apart from the rest. When she isn’t working, Jessie enjoys quality time spent with family & friends, over a home cooked meal. She has a love for outdoor activities and revitalizing in nature at her cabin located in Slave Lake where she was born and raised. "Jessie has showed us what it is like to work with a true professional. Our property was sold within days of being listed with her agency. She answered all of our questions directly and confidently. Her vision of representing our property online was extremely well done!" "We had the pleasure of working with Jessie to buy a new home as well as sell our previous home. Jessie was energetic, patient, honest, resourceful, and professional. She went above and beyond to meet our needs. She was knowledgeable, and did a phenomenal job guiding and answering any questions that surfaced even if it was late at night. Jessie helped sell our home in under two weeks! She added so many perks with the move we are truly grateful for!! We highly recommend her as an agent!" "Jessie truly loves what she does and has a passion for finding people the perfect place! She was very informative and as a first time home owner was able to point me in the right direction to find the best fit. Jessie is very quick and responsive when scheduling viewings and points out the good and the bad in each property. I thought buying a place would be a stressful process but she made it an amazing experience. When things didn’t work out she continued to look forward and keep a smile on my face. I ended up with a really great place solely because Jessie was extremely quick to get information to me and get an offer started. I highly recommend Jessie McCracken @ YEGPro Realty to anyone looking to shop for property in Edmonton." YEGPro Realty is a boutique Real Estate Brokerage who operates on integrity, embraces technology, creativity & innovation. We are committed to providing our clients with all information necessary to make informed real estate decisions in a professional manner, every time. We excel in brand marketing & strive to provide top-notch service for clients, customers & agents alike. A people orientated team with the systems, tools & support in place to enhance client experiences, agent careers & to achieve the highest success & personal satisfaction in a winning environment. Let Us Guide You Home!